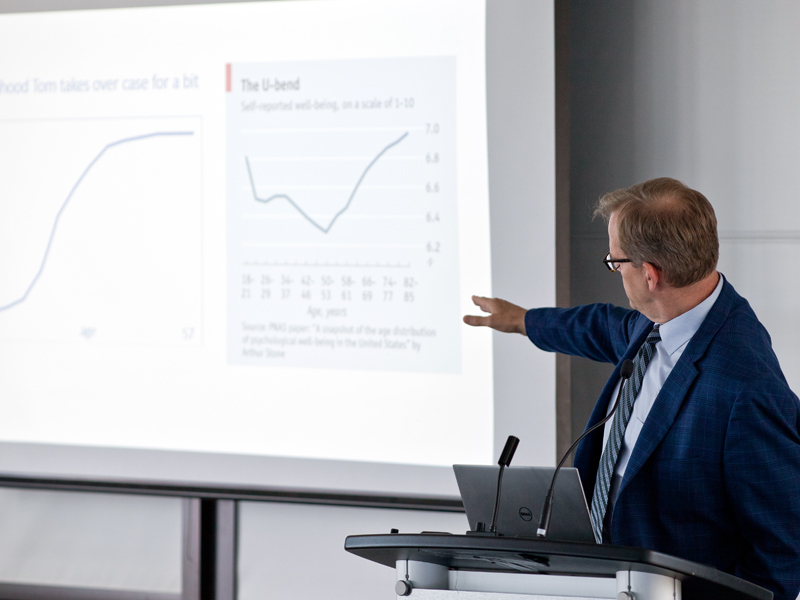 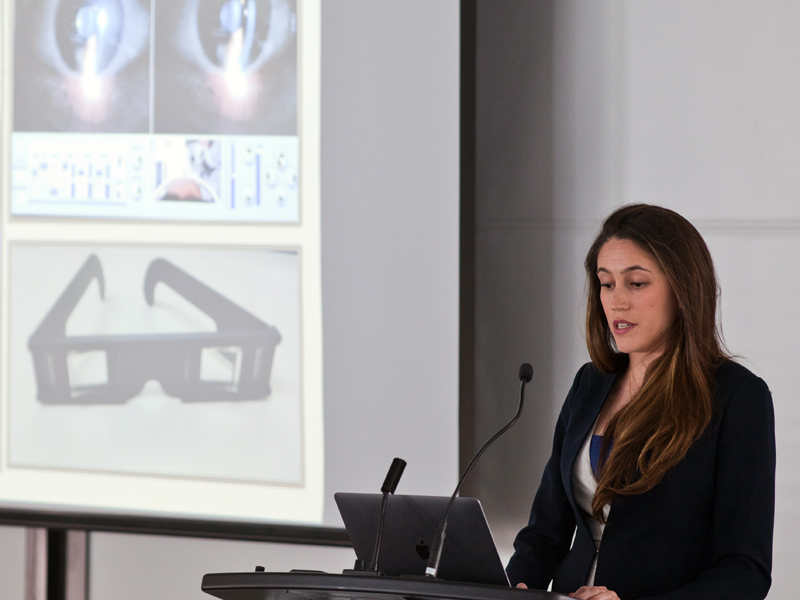 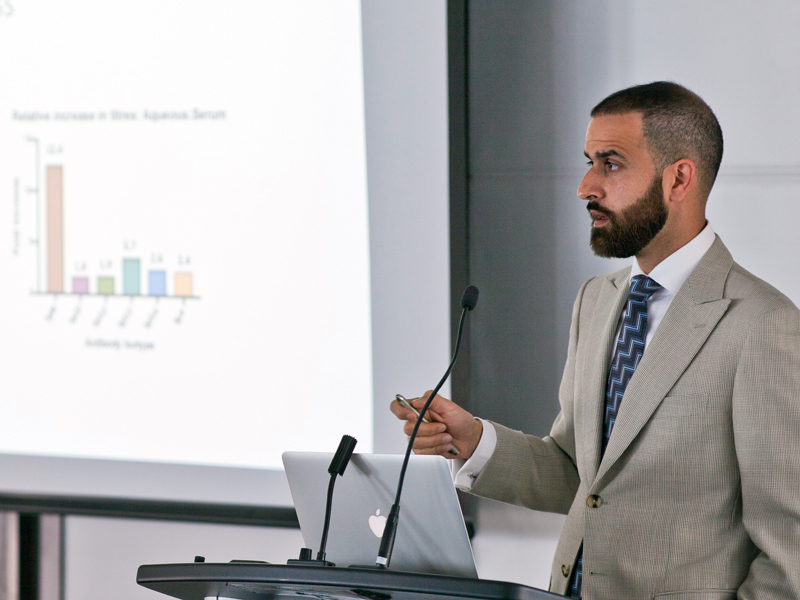 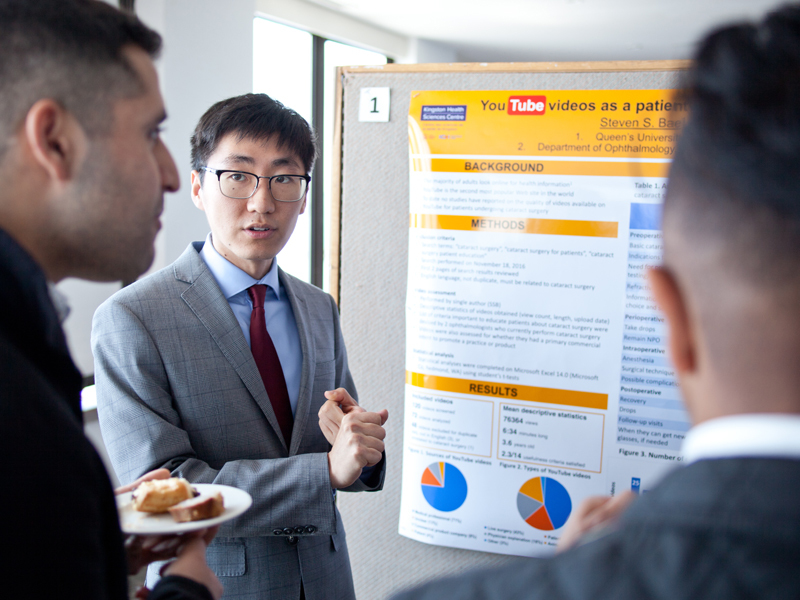 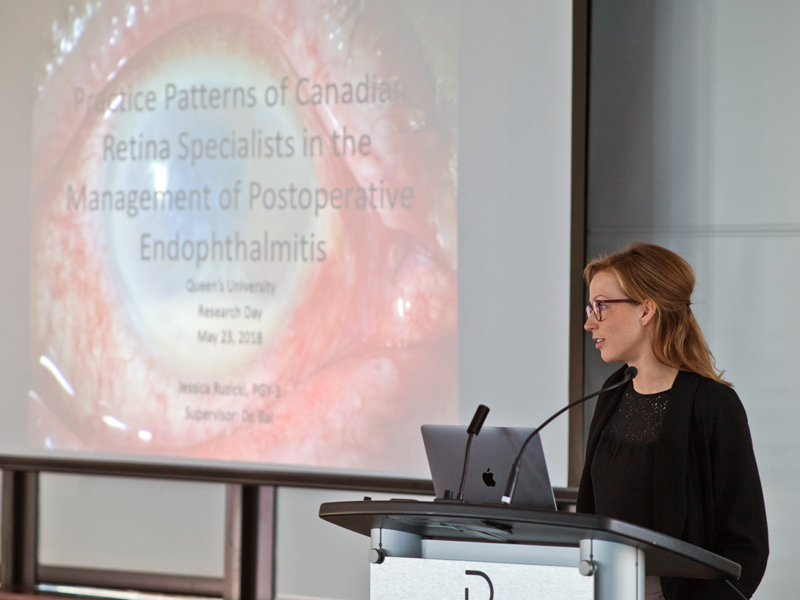 This year's Queen's Ophthalmology Research Day took place on May 23rd, with special guest Dr. Thomas A Oetting delivering the RMH Pinkerton Lecture. 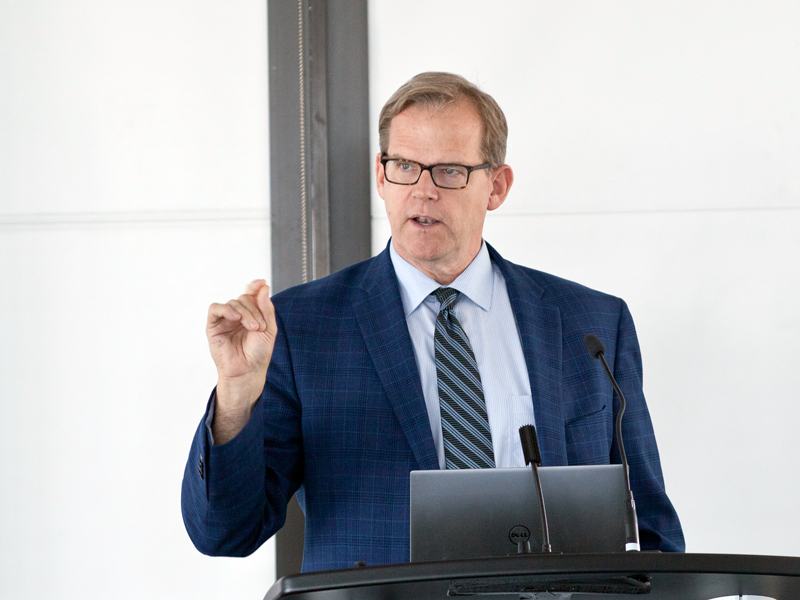 The title of Dr. Oetting's talk was "Five Education Pearls." 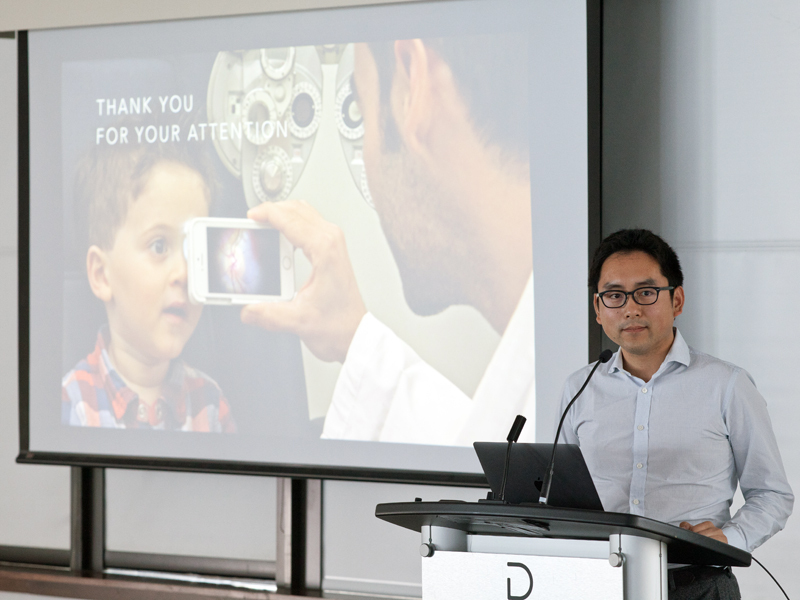 Top prizes for innovative research went to Drs Mark Xu for his investigation into smartphone based versus conventional ophthalmoscopy use in the context of medical education, and Jacob Rullo for his research into intraocular antibodies as targets for treating vascular diseases of the eye. 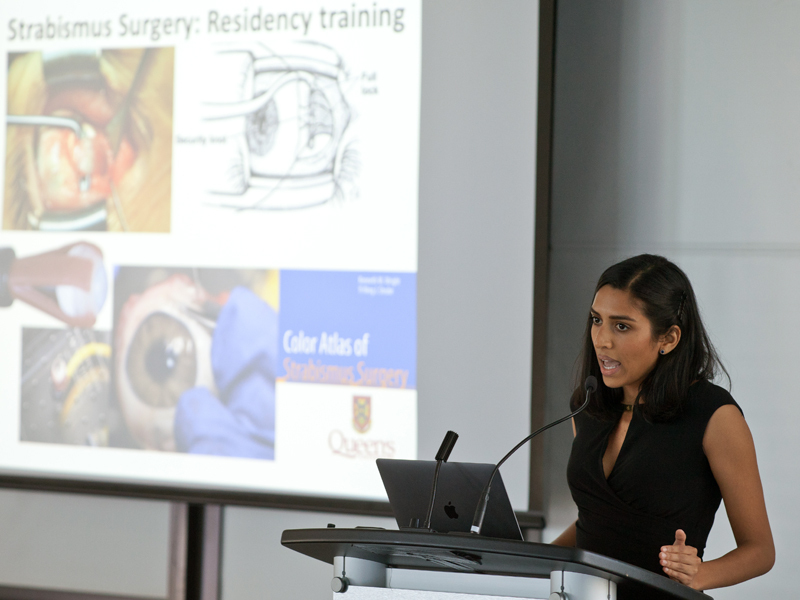 Dr Jagan received an honourable mention for her work in validating a 3D printed eye model for simulation training in strabismus surgery. 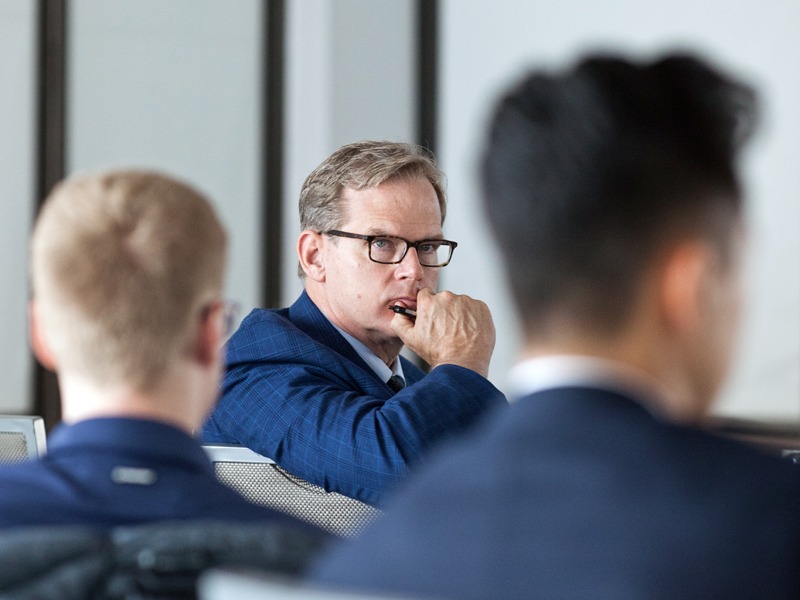 Dr Thomas Oetting, guest adjudicator and speaker.